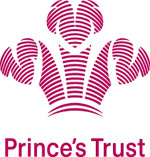 The Prince’s Trust team programme is a 12-week course for 16-25 year olds. You’ll take part in community projects and a residential week where you’ll gain work experience, practical skills and nationally recognised qualifications to help with your future career. Why should I participate in the Prince's Trust programme? During the course, you’ll take on many different tasks that will develop your team-working and communication skills as well as gaining awareness of your local community and how you can contribute to it. More than 70% of our unemployed participants go on to jobs, training or education within three months of completing the course. If you’re aged between 16 and 25 then yes, this 12-week course is for you! The programme won’t affect your Job Seekers Allowance and can be a great way to build the skills and confidence you need to apply for jobs. The young firefighters’ association is open to people aged 13 to 17 who live in Northumberland. Young firefighters participate in a wide variety of fun and educational activities during weekly meetings (term-time only). Meetings are held once a week between 6pm and 8pm at local fire stations. Who should consider joining YFA? The association also provides great opportunities for young people who might want to develop their skills and understanding of the fire and rescue service, perhaps because they are interested in a future career as a firefighter. What will I do at young firefighters? As a cadet at young firefighters you will learn about the Fire and Rescue Service, including key practical skills such as hose running, pump operation and ladder drills. There is also focus on essential equipment such as road traffic collision rescue tools and breathing apparatus. You'll get the opportunity to form lasting friendships, build teamwork, leadership and communication skills and to develop your skills and experience into lasting memories. You'll be given the opportunity to work towards Northumberland's fire cadet award and to apply and progress through the ranks of fire cadets. What other activities do young firefighters get involved in? 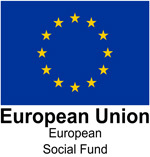 These can include beach cleaning, fundraising, attending fetes and fairs to provide safety information, and completing home fire safety checks. Young firefighters also get plenty of opportunities to attend social events such as ice skating, bowling and team building events. The bi-annual drill competition gives young firefighters the chance to showcase their skills and work as teams to compete in a series of firefighting drills, with the chance to become the annual drill competition champions. Which fire stations currently have young fire association branches? Alnwick, Berwick, Hexham, Pegswood, Rothbury, Wooler and West Hartford currently have young fire association branches. Do you think you have what it takes to be a young firefighter? Then get in touch!